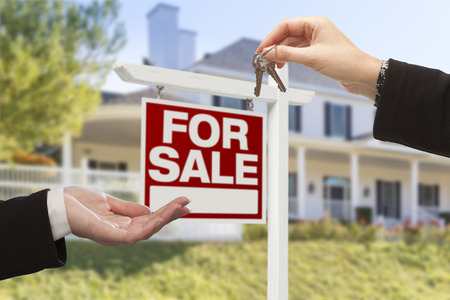 Why Do Sellers Stay On Property After Closing the Deal? It is very difficult for sellers to completely plan the “exact” date of departure. Lenders, Escrow Officers, Buyers, Inspectors, Regulators, Transaction Coordinators, and others can do things entirely unannounced that can change dates. Also, sellers sometimes believe if their Purchase Escrow is delayed, their Sale Escrow is also automatically legally delayed. Therefore, sellers sometimes will need to stay in the old homestead after the closing date. Understand this and that some plans and agreements must be determined ahead of the planned closing date. This is called, “Seller Remaining In Property After Close”. It is common enough that the California Association of Realtors for years had a form (Seller in Possession Addendum). Those experts recommended for short-term occupancy (less than 30 days) and a Residential Lease After Sale for longer possessions. There are so many things to discuss: Cost, how long expected, late charges, utilities, maintenance, subletting, new owner entry, security deposit, insurance for personal property, etc. Bob Hunt, San Clemente Broker/Author/Guru/Friend, has written another column that discusses a new CAR (December 2016). The form is called Seller License To Remain In Possession Addendum. A new word for Real Estaters-License. Read about his article here. Bob Concludes that the Differences in the Two Forms are More Semantic, Rather than Substantive. The purpose of the new form clarifies that no tenancy is being created. The occupancy is more like a football game ticket. You can use the space under certain conditions and at a certain time; however, you do not have an interest in the seat. Eviction is not necessary. At least that is the motive, at least until the first Judge reads the form. Sellers of new loans cannot rent the property and this situation could be considered a rental. So many things to think about and so little time. While you are on the CAR Website, check out other new forms that you have not seen.